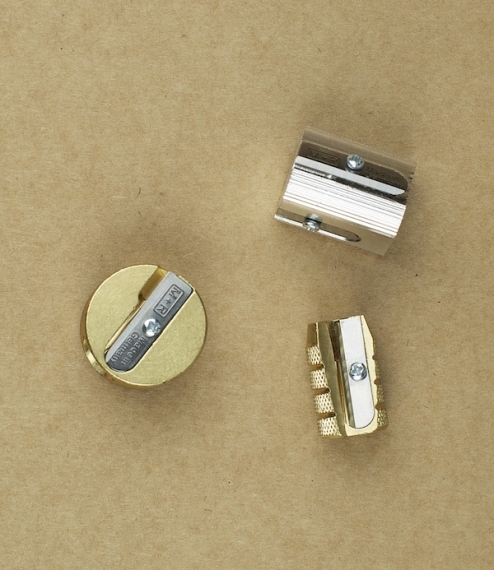 DUX precision sharpeners with swarf containers, for use with pencils and crayons. 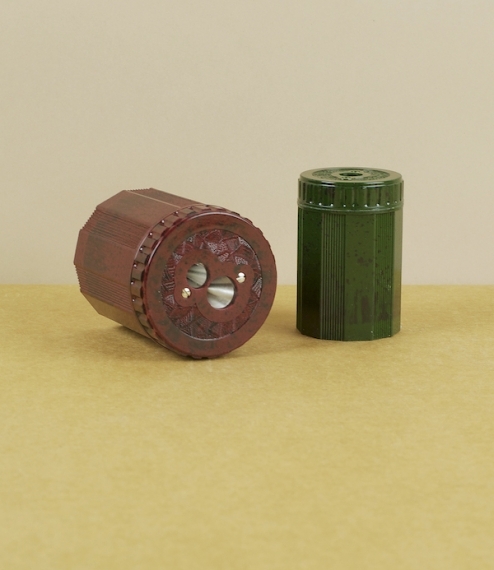 Produced in Duroplast, a hard dense thermosetting plastic not dissimilar to bakelite, with screw attached magnesium sharpeners fitted with standard replaceable blades. 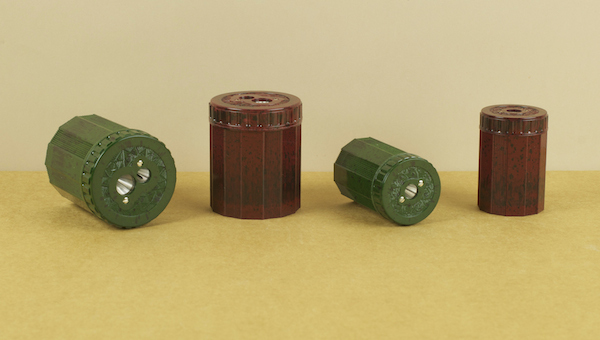 Available in either double or single forms, and green/black or red/black marbled finishes. 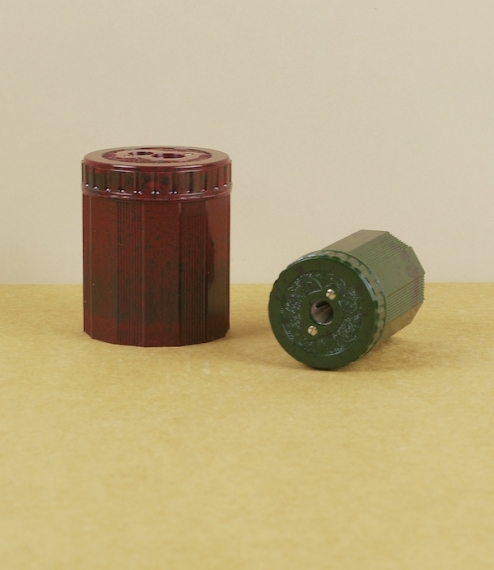 The double measures 64mm high by 54mm in diameter, the single 59mm high by 39mm diameter.